Everybody and anybody willing to listen the World, rapper Chaz French states when asked who he speaks to through his music. Chaz French developed a level of individualistic creativity that has helped him to stand out amongst other artists in the DMV hip hop scene that is always conveyed through his music and style. Listeners will hear transparent, unapologetic lyrics that paint a vivid picture of pride, love, fun, and pain; messages similar to those shared by his artistic inspirations, Jean-Michel Basquiat and Kanye West. The early twenty-something is never not working on his craft - be it recording in a studio, writing while on daddy duty, or promoting his music to the masses. 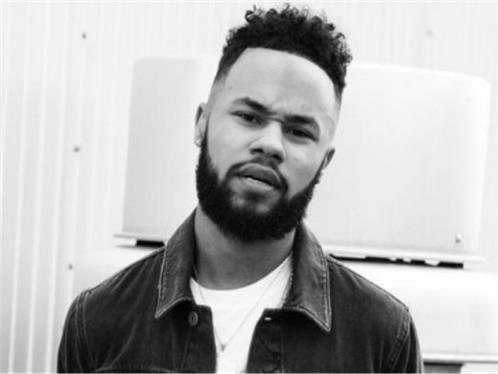 Touring and Grammy aspirations matched with million-dollar dreams underline Chaz French's endeavors, with recent perfor- mances at noteworthy music events such as SXSW in Austin, TX, opening for Waka Flocka at the historic Howard Theatre, and Broccoli City Festival in Washington, DC. With the help of 368 Music Group (CCCLXVII), a colorful past, and sharp focus on the future, Chaz French plans to leave a mark that impacts not only the music industry but the world!